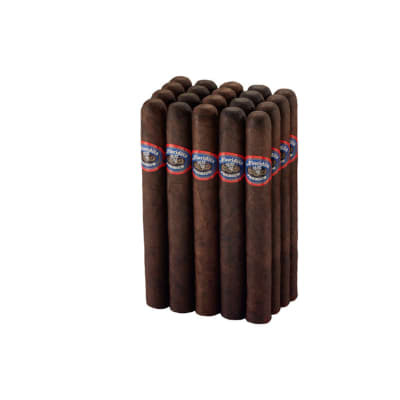 La Floridita Corona Gigante Maduro cigars are handmade with a well-balanced blend of choice Dominican and Nicaraguan longfillers rolled into a mouthwatering Connecticut Broadleaf Maduro wrapper. 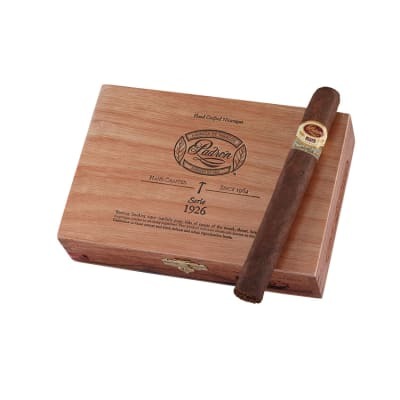 The result is a flavorful, medium to full-bodied cigar you can enjoy everyday at a fantastic price! The draw is way too easy for lack of even rolling - it's like having a wind tunnel in your mouth. That combined with a horribly uneven burn that kept going out! made it un smokable. Anyone want 24 more. A waste at any price. And it was recommended by the phone aide which iIm not to happy about. This has become my everyday smoke. The taste is great and the value even better. You get a cigar every now and then that will canoe and tunnel but for the price, it is just unbeatable. Extreme Bargain Hunters take note: These things are mighty good! 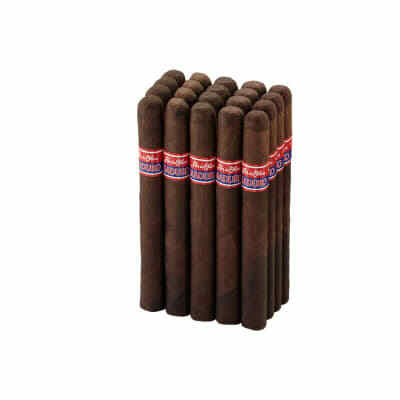 Smoking the Corona Gigante in maduro, this cigar makes an impression wayyyy before lighting. The wrapper is deep and lustrous; oily, shiny, and practically vein free. It resonates a wonderful pre-light flavor and aroma which speaks of a cigar that usually costs me (and you) alot more than this one did. 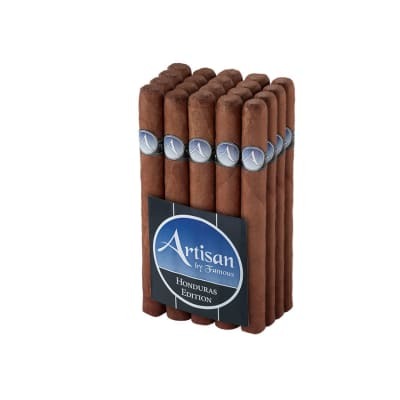 It has strong black coffee flavors throughout, and although this cigar might look intimidating it is so smooth and well blended that you find yourself at the end before you know hardly even know it. Impressive draw for a cigar of this size, consistency of construction is there...They even burned even for the most part after just a couple of days off the truck. I've only ever had to do just occasional minor touch-ups to correct the burn. This is one of the most impressive cigars for the money to come along in a long time. 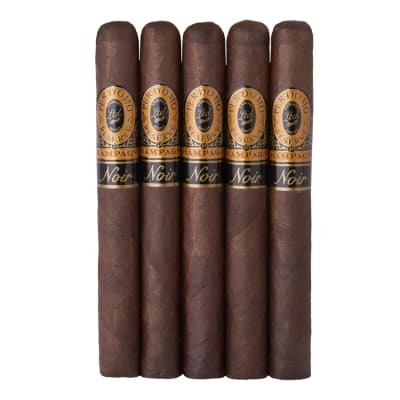 These are going on my ALL-TIME BARGAIN LIST right beside the Flor de Oliva bundle series, and Roly bundles. If you're not hip to these tasty sticks, hurry up before you miss the boat!